Need a New Year Resolution? How About Resolving to Hire More Older Workers in 2019. Are You One of LinkedIn’s Most Predictable Recruiters? The first Applicant Tracking System (ATS) was designed to do little more than store data from applications. Prior to the Internet, candidates sent in physical resumes and the recruiter’s job was to choose the best from the stack. Early recruiting platforms simply digitized the process. The most vital aspect of a career fair is not what happens during the event but the follow up after the event. As an employer, you can expect to come back to your office with a mile-high stack of resumes and portfolios. ‘Girl Power’ was never not a thing for me. We are so excited to be presenting at the upcoming SHRM 2018 Annual Conference for the fourth consecutive year. 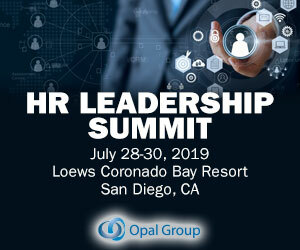 We enjoy going to the show each year as an exhibitor to meet new friends, chat with our clients, showcase ApplicantPro, and get up to speed on top HR trends. We recently co-hosted an amazing webinar panel on Building a Diversity and Inclusion Program from Scratch. On it, our speakers Katee Van Horn, Shavonne Hasfal-Mcintosh, and Raena Saddler shared incredible advice and insights on a topic that is a top business priority for so many of us. Think about a great hire. Think about the employee who referred them. Think about the HRBP who approved the req. Think about the Compensation Specialist who approved the leveling and salary band. I have some excellent news for you. Sourcing is the place to be in talent acquisition today! 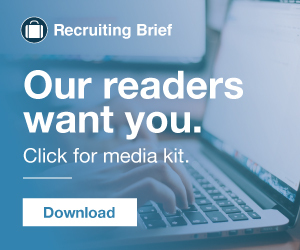 Recruiting as it has traditionally been known is going away. There’s no second chance to make a good first impression. Recruiters pour a lot of time and effort into investigating and prepping candidates. They pour over resumes and sift through the keywords to try and tease out the most eligible candidate. However, this is a two-way system. Mobile-focused, generational groups like Millennials and Gen Z are taking over candidate pools in full-force. They want to feel connected to their employers, and they want faster means of communication and they want to work for businesses that care about their preferences and needs. The job interview: A major step that both candidates and hiring managers often approach the wrong way. The candidate may prepare in-depth answers ahead of time. But maybe, they fail to have an organic, personable conversation with the hiring team. The technology industry’s 2018 job market could be significantly different from previous years, according to David Foote, chief analyst of Foote Partners LLC. 2018 will be a foundational year,” Foote explained. While the talent market will continue to be strong, companies are preparing for a tidal wave of disruptive technologies that will change the way businesses run, as well as the demand for technology professionals and the salaries they command.”. I was born on the 24th of March 1988, christened Natasha Maria Foster and for the next 25 years largely called by that name, or some close variation of. Then I started working in recruitment and suddenly, inexplicably, my name became Natalie. I’ve never met my Fistful of Talent colleague Rachel Bitte , but her recent post on the big changes recruiters had to make ( 2018 Was the Tipping Point For Recruiting ) to deal with “the current job market reality,” tells me she knows her way around a recruiting department. Building a brand ambassador program can be a powerful tool you should already be utilizing to help improve your Employer Brand. University recruiting is becoming more competitive than ever. Companies are on the hunt for top-tier talent that can integrate into their organization and ultimately onboard full-time after graduation. I am getting a lot of questions about Artificial Intelligence and recruitment. I have even been asked to give several speeches on the impact of AI and machine learning on the future of recruitment. And of course I have little real idea.